Battle of my mind , my thought process. A little something about me. I love to write when I feel fustratuated or even emotional to express how I feel. Cloud Atlas seemed to have all dimensions covered, all who were executed had gifts to change the world. They all had courage, they all had a choice to serve as an servant to GOD’S people. OR become of the world. Saying our life is not our own, same message Bishop Elect- Kelvin Clark taught tonight in bible study. So it makes me think even more about moving forward. I find myself asking holly spirt for spiritual guidance on scriptures. To increase my knowledge about my Father business . Who continues to show me steadfast love, firmness, joy, accountability without a doubt.With NO WORD RETURNED VOID. Battle of my thoughts continue, I know but, sometimes I don’t know. Battle is real when you think about life and what your life will be like in 10 years. Only if I move now! Or will I continue to miss what is best for me? Or do I want what I think is best for myself? I tell you one thing I am that I am of the most high, I love to read about the journey of JESUS . One of the best parts is knowing which one of the servants in the bible reminds me of myself . WOW!! something to think about. 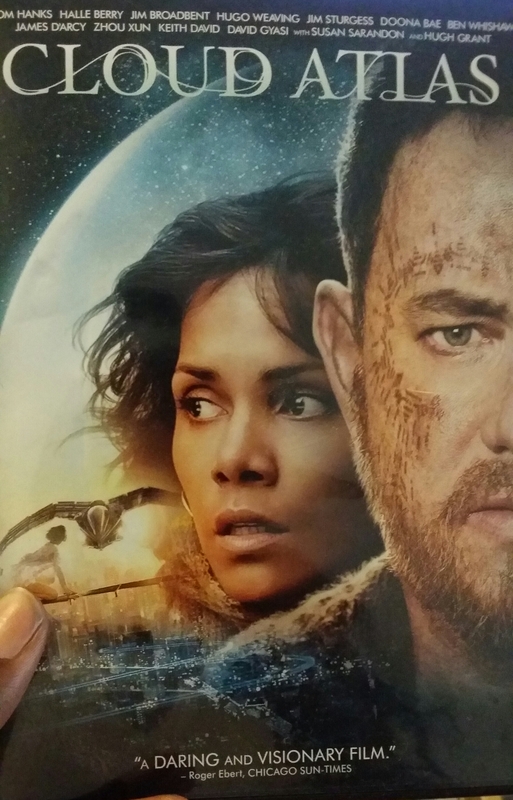 As I continue to watch Cloud Atlas , it just reminds me of the chosen ones. Many all called Few are chosen. Chosen individuals who will stand up for change ; can change the future. Watching this movie makes me more excited to keep moving forward. Battle within my thoughts that causes my mind to fight spiritually. For presences of peace ,harmony steadfast love, and protection, joy,favor etc..
Battle of my mind the other part okay work 9-5 job, still be broke or living paycheck to paycheck. Or even having 600,000 income a year on salary working over board for something that will never be mines. Do i move forward getting things done in a reinvented way? Question I ask myself , then I remember. As the father says I am the bread of life and man cometh to me shall not hunger and man the believeth in me shall not thirst. Bishop Elect – Clark also quoted this scripture. Amazing how intrigued I was to learn this scripture along with many more. Battle of my thoughts continue daily. Father I ask for forgiveness and more strength to keep moving forward. With the direction you have customized just for me. Actually being able to know he designed someone especially for me…customized just how I like it. As I watch my mentors and their relationships of marriage it’s like so AMAZING. .and beautiful POWERFUL..real love. I feel blessed just to be part of something so beautiful. Words From A Dream Chaser….